A free short story from my now released debut collection WHERE ALL LIGHT IS LEFT TO DIE (The Suits over on Craig Saunders's blog). An excerpt of SOULSERVE: A Ray Garret/Lifeline Techno Thriller over on Martin Reeves's blog. A generally depressing and exploratory essay about death and the universe I wrote called The Big, Bright Belly of God over on Leigh M. Lane's blog. An extensive and thoughtful interview with me carried out by John Palisano on his blog about all these new releases, my take on the sea of self-publishing out there, my influences and my writing practices. A new disturbing free flash story over on the October Perpetual Machine Motion Publishing newsletter called REDUCTION. Although this wasn't originally part of the tour, it sure worked out timing wise. You can also sign up to receive their monthly newsletter via email. 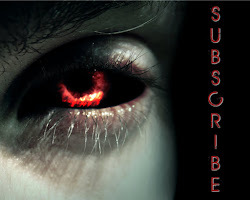 They have a brand new free flash story every month. Mine is only the second so far and I found the first one pretty fantastic. Sharon Stogner gave THE DEATH CATCHER (the opening story to WHERE ALL LIGHT IS LEFT TO DIE) a mini review over on the I Smell Sheep blog. As a free sample of the collection you can read THE DEATH CATCHER here on my blog as well as on Wattpad, on your Kindle, on your Nook, on your iPad, on your Kobo, or on any other device by downloading it from Smashwords. Speaking of, you can earn extra entries to win the three signed trade paperback books. 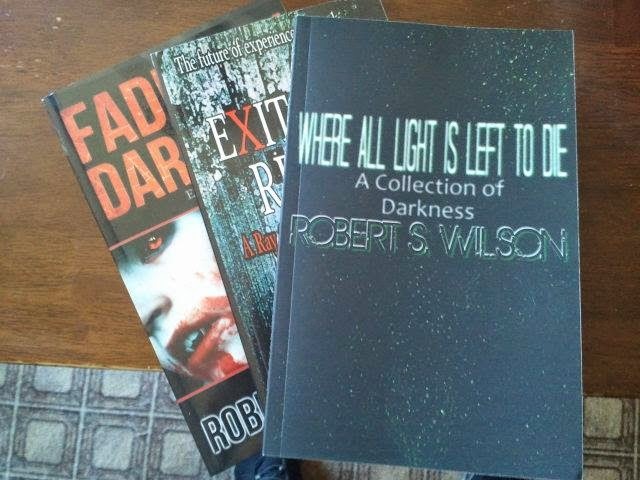 You can earn two entries by sharing a picture of any of my books out in the wild either in the paperflesh or on your ereader. Don't own one of my books? Just download my free short story The Death Catcher on Smashwords, B&N, or iBooks onto your e-reader of choice and take a pic of it. Or you can share this picture on Facebook to earn an additional entry as well. Contest ends at the end of tomorrow! So get to it. I was hoping to have the final cover for Rising from Ashes ready to show off, but the cards did not play out the way I had hoped. But very soon there will be a great unveiling, so stay tuned. Take it easy and thanks again all of you who have taken the time to give my work, my blog, and/or my ramblings a chance.